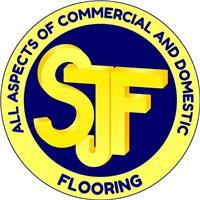 SJ Flooring - Carpets/Flooring based in Little Kingshill, Buckinghamshire. For over 20 years we have offered one of Buckinghamshire’s largest ranges of affordable and high quality floorcoverings, ranges include. Carpets: wool twists, natural effect wool carpets, polypropylene twists, saxonys & stripes. Wood floors: engineered, solid, lacquered, brushed and oiled. Luxury vinyl tiles: amtico, karndean, polyflor, LG, moduleo. Vinyl flooring: stone, wood, marble effect vinyl sheet flooring in 2, 3, 4 & 5m width's. Natural fibre carpets: kersaint cobb, alternative flooring, natural elements, sisal, coir & jute. Laminate flooring: wood and stone effects in various thicknesses. Our ethos from initial consultation to home survey, estimating and finally installation is to work with our clients, striving to offer a complete customer focused experience, providing cost effective and reliable flooring installations comes naturally to us. Our service simply is based on a customer focused approach with great communication, well-kept commitments and adaptable schedules to fit around you. High Wycombe, Amersham, Aylesbury, Chesham, Thame, Marlow, Beaconsfield, Gerrard's Cross, Hazlemere, Bourne End, Princes Risborough, Maidenhead, Prestwood, Naphill, Henley, Chalfonts, Denham.